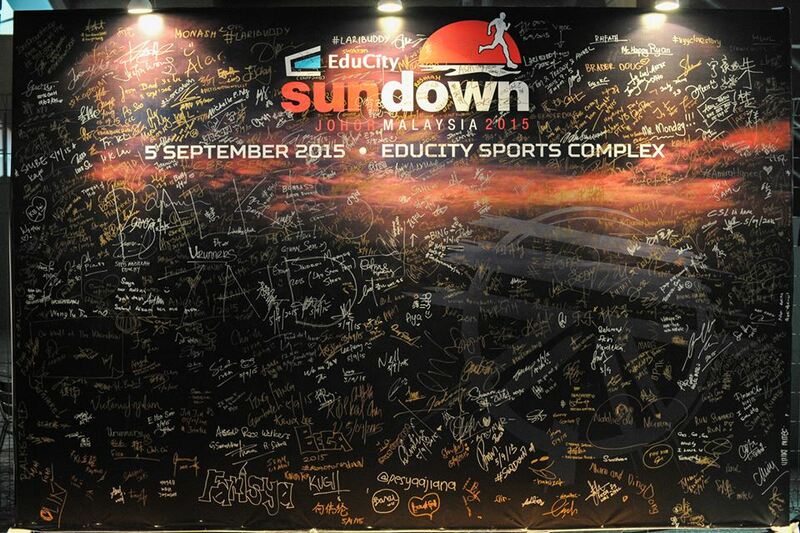 Race Review: Educity Sundown Malaysia 2015 (by 'Dropthepoptart') | JustRunLah! 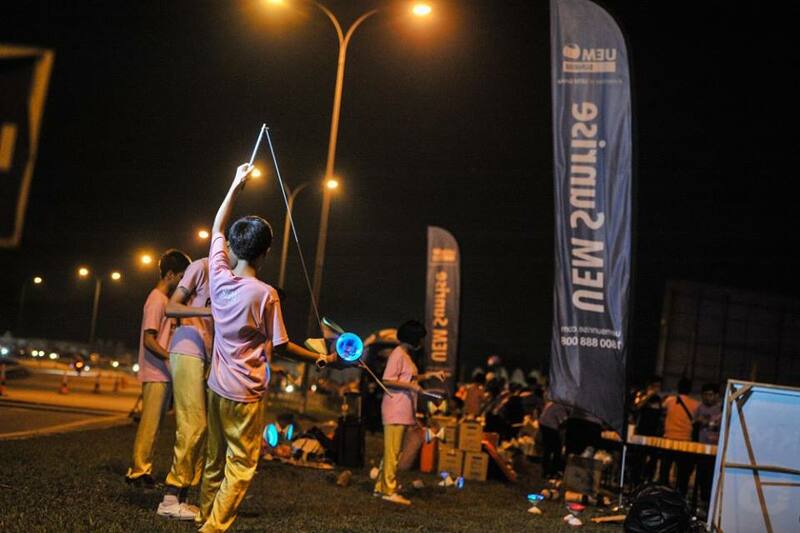 Finally, a HM in Johor state..
Educity Sundown Malaysia returns in its second edition following its successful debut last year. Being adventurous as usual (I’ve never run a race in Johor state despite its’ close proximity to SG), I decided to take part in this years’ edition – given the chance that I could strike off Johor on my to-run-Malaysian-states-list (I’ll explain more later) . 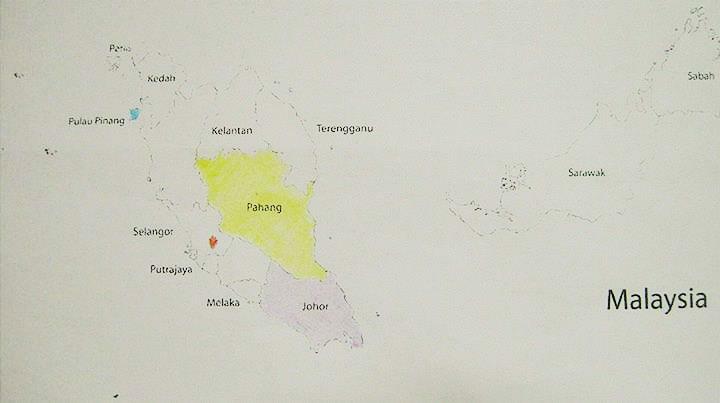 There were only 2 categories in the Malaysian edition – 21.1km and 12km. Unlike its sister edition, the flag-off timings were more convenient at 8pm and 8:30pm for the 21.1km and 12km respectively. The race was held at Educity Sports Complex, situated about 5km away from LEGOLAND in Johor Bahru, with both categories following out the Nusajaya Highway. Getting to Nusajaya can be a nightmare if you do not have a personal transport as public transport service to LEGOLAND and Educity Sports Complex is limited. Even if you do have your own transport, parking spaces are limited. 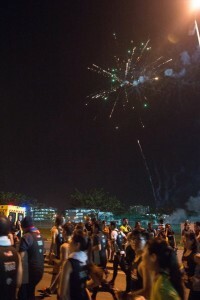 However, this year saw the kind organizers providing shuttle buses (two-way trip) for Singaporeans wanting to venture over the border to experience the Malaysian race scene. I was told that the shuttle slot bus were fully booked. The pick-up point was Jurong-East Station and despite hiccups – things went smoothly eventually. Upon arrival to Mall of Medini, I quickly collected my racepack (REPC timing was officially extended for those outstation local M’sian and foreigner runners like me) and took a 10-min two-way shuttle bus from LEGOLAND carpark to the starting point. 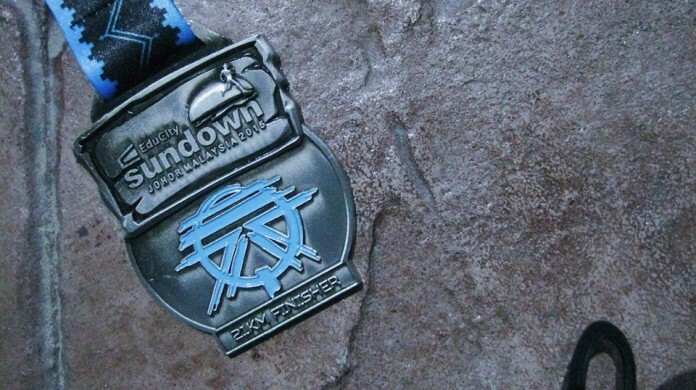 There were sufficient amenities at the race venue – baggage deposits, plenty of portable loos and various food stalls/trucks for those wanting to grab a quick bite and ‘last-minute’ carbo-load. At the starting pen, we (participants) were greeted with thunderous, energetic and rhythmic percussion performance before being flagged off. As the starting airhorn blew and runners started to surge forward , we were again treated with wonderful displays of fireworks. Like most Malaysian highways that I’ve ran, Nusajaya highway was wide and generally flat ( a good chance for those wanting to hit PB). Of course, there were (minor) elevation along some parts. Being a night race, some sceneries were barely visible and unremarkable. That however, does not mean that the energetic and cheerful volunteers were stingy in showering participants with words of encouragement and hi-fives. Volunteers did a great job at their respective water station, drinks were aplenty and at some stations, watermelons, gels and bananas were given out. 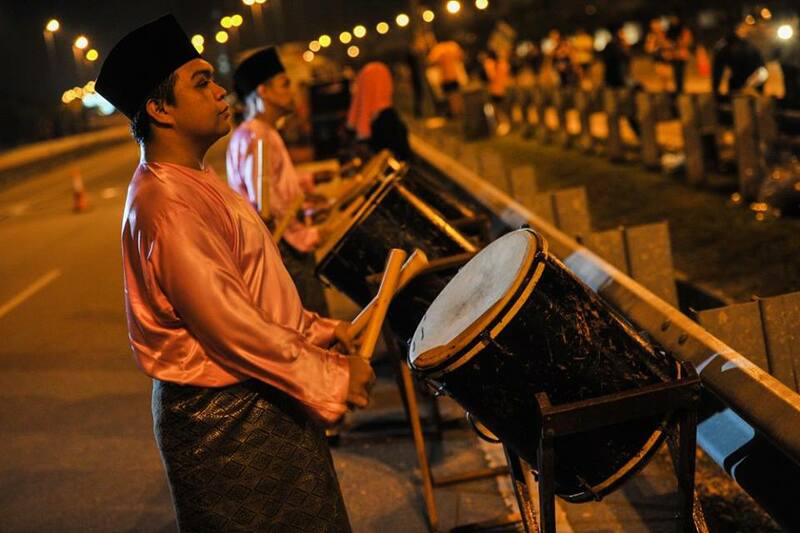 There were also various multi-ethic performances along the way. Being a HM participant means you get to run through and witness the majestic night view of Dataran Mahkota (administrative center of Kota Iskandar) around 8-9km mark. Runners were treated with the scenic panoramic view of one of the iconic landmarks of Johor. At the finish line, participants who crossed the line within the cut-off time were handed out finisher medals (HM participants were also handed small coupon to be exchange in order to receive their finisher tees at the stadium ticketing booth. I didn’t hang out that the race village for long as I had to rush back to LEGOLAND (via the shuttle bus) to board up the bus back to SG. Water stations were well-manned and well placed (at every 3km). No complaints of running out of drinks. Wide running route – no bottlenecks. 2-way shuttle from LEGOLAND to race venue. This means runners do not have to walk additional miles. Shuttle service to/from Singapore. Great initiative as it allows those without personal transport to experience the running scene in Malaysia. REPC extended to cater to SG runners coming via the SG shuttle bus. There were public driver who were unaware of the road closures -causing traffic delays around certain section of the route. Organizers should advise drivers on alternative routes to take. Long lines @ baggage deposit (post-race). SG shuttle bus delayed departure times. Given how everything went smoothly (even though there were minor hiccups). I’ve got to say that I am impressed with organizers for setting the benchmark for Malaysian races. I hope to see more Singaporeans taking part in the next edition. And finally, Johor is off my list. 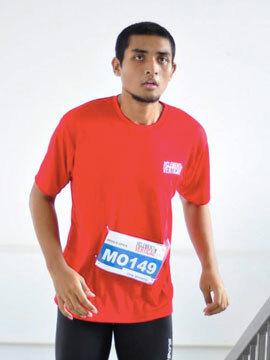 I’m on a mission to run at least one race in each states and federal territories of Malaysia. So far – 4 down(shown colored).I did 3 states in 2015. Next up? Alor Setar HM 2016 in Kedah and hopefully – Borneo Marathon in Sabah. Stay tune in my #runMalaysia adventures.